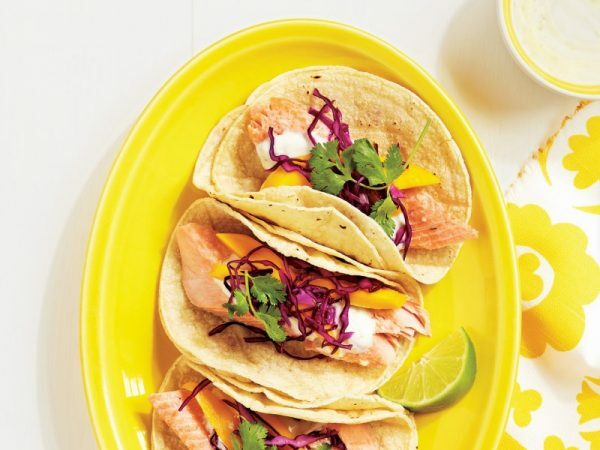 Trout is one of the healthiest types of fish you can eat, and considering that you're advised to eat fish at least twice a week then it's handy to have a few delicious recipes up your sleeve. I am a huge fish and seafood fan, but I will confess that I am not extremely adventurous when it comes to how I prepare them. 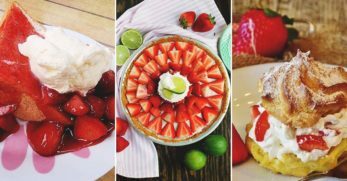 I tend to stick to a few recipes that I know well, all of which are amazing, but I know that I could do better. 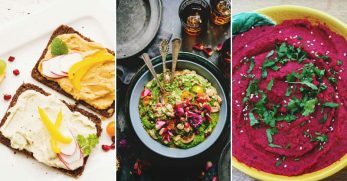 There are multiple easy ways to incorporate fish into meals that you might be making anyway, like omelets and salads, so why not try them out and up that all-important omega-3 intakes. Because of its relatively mild flavor, trout is the perfect fish to add to dishes or to introduce to someone who doesn't love fish. 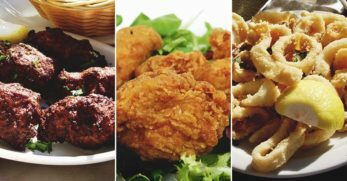 It can be paired with a wide range of ingredients and flavors, so prepare yourself to get experimenting. A Scandi Trout with salad is precisely the kind of dish we love tucking into when visiting family in Denmark. Food like this is huge over there, and I love the fact that it is a perfect combination of both fresh and wholesome. 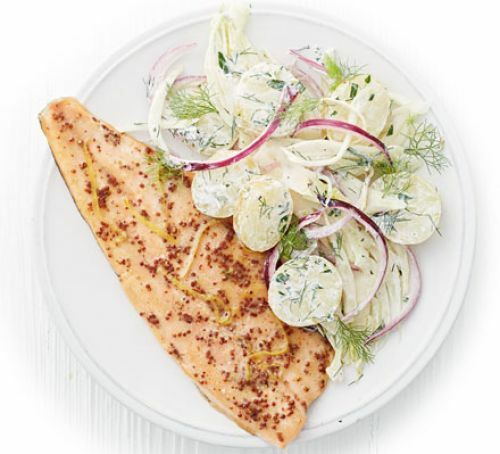 This Scandi Trout with Fennel Potato Salad has delicious sounding mustard and honey glaze, something both sweet and a tad fiery to bring out the flavor of that trout. 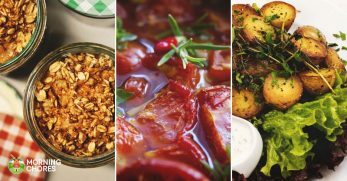 I can imagine this making a perfect lunch on a day when you have a little more time to prepare it, and that fresh potato salad makes it ideal for the warmer months. When it comes to fish, sometimes the best way to prepare it is to keep it extremely simple, only using a couple of extra ingredients to accentuate its natural flavor. 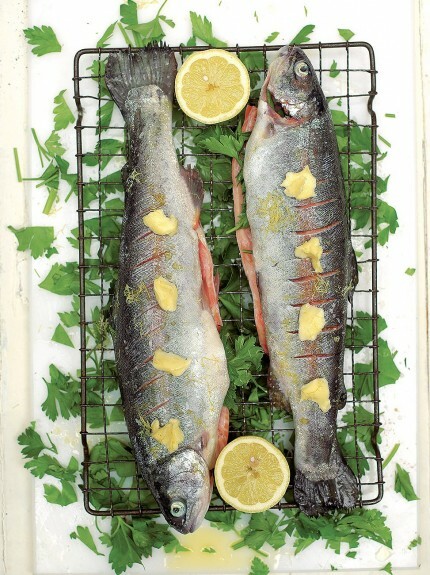 That claim is backed by this recipe for Grilled Trout with Parsley and Lemon, where the fish is kept whole, lightly seasoned and cooked to perfection. 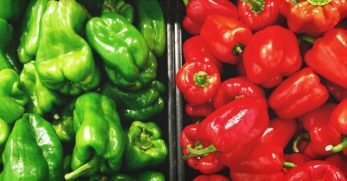 You could make this an entire meal by serving it along with new potatoes and salad, or prepare it as part of a more significant spread that people can tuck into. 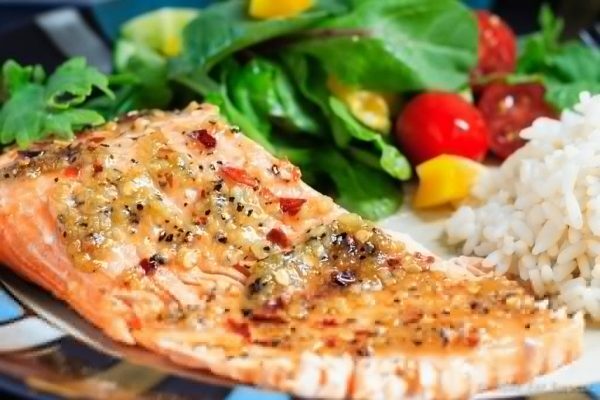 Although traditionally made with salmon, this recipe and technique would work perfectly well with trout. 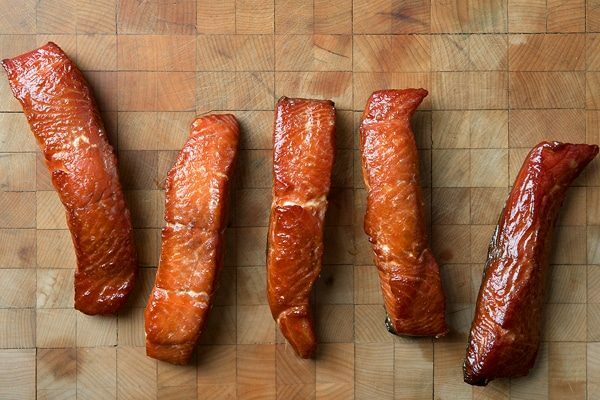 You can adapt this Candied Trout to your preferences, cutting extremely thin strips of fish if you are looking for a jerky style texture, or leaving them thicker to maintain that meaty texture of the fish. 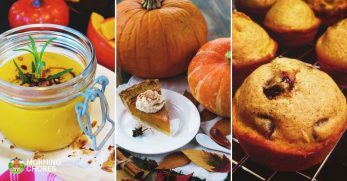 This recipe takes a while to make, but it is something you could prepare in advance, and the amount of actual hands-on work is minimal. You wouldn't necessarily think to pair fish with something sweet, but trust me, you should give it a go before you judge. Baked potatoes, in general, are one of my favorite quick weeknight meals, and I find them incredibly comforting. Toppings are always exciting to experiment with, and I'll pretty much try anything from plain cheese to something more sophisticated like these Horseradish, Smoked Trout, and Mascarpone Baked Potatoes. I've never thought to have fish on my baked potatoes so am intrigued by this recipe, which will have a nice bit of heat behind it from the horseradish. 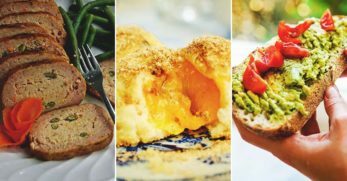 Baked potatoes have the best fluffy texture when cooked in the oven, but my top tip for when you're in a rush is to pop them in the microwave, approximately four minutes each side and you're good to go. My mom makes the most delicious sea bass dish in which the fish is cooked with bacon, giving it a wonderfully smoky, salty flavor. This dish sparked my love for serving fish with bacon, and I can imagine that in this Bacon Wrapped Trout, especially because it's grilled, the fish will take on those same flavors. I'd serve this along with some new potatoes so as not to take away from the fish itself. You can buy trout easily in stores, but this would be even more special when made with a fish you caught yourself. 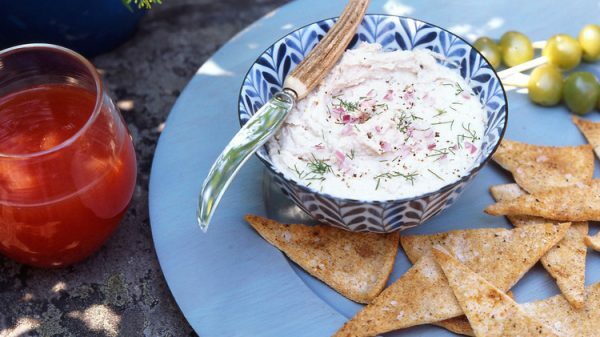 Smoked Trout Pate often makes its way onto the table at our family gatherings, and I am entirely glad of that. 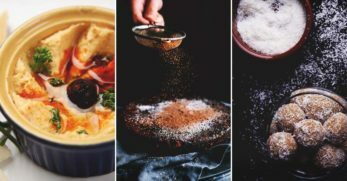 I would usually eat it on top of thin toasts, but I love the idea of the pita chips that they have used in this recipe. The pate is a one-step recipe, which is my favorite type of recipe, only requiring you to blend all the ingredients. I would be tempted to leave out a little bit of trout to add in as chunks at the end if you'd rather have a pate with a bit of texture to it. You could whip this up in no time as a little appetizer if you were hosting guests. Scrambled eggs are a fantastic go-to breakfast or lunch, but I prefer when they are jazzed up a little with some extra ingredients as opposed to by themselves. 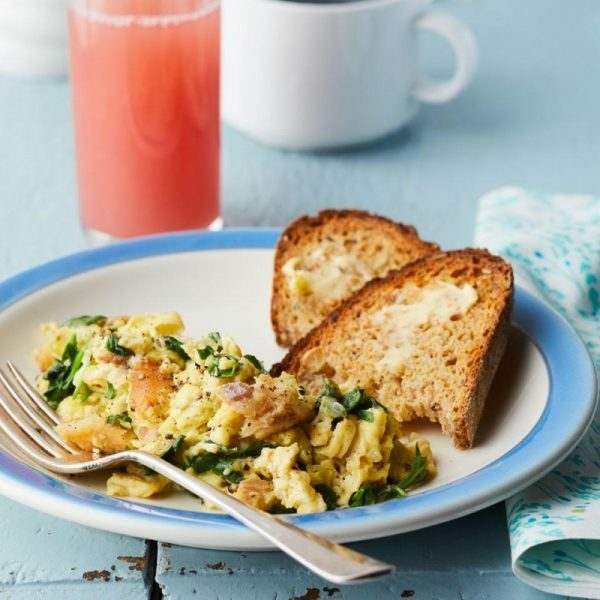 I am prone to add a little cheddar cheese but would love to get more adventurous and love the sound of these Smoked Trout and Spinach Scrambled Eggs. I can imagine myself sleeping in a little on a Sunday then going downstairs to whip up a batch of these eggs for brunch. 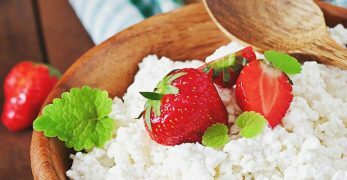 Not only does this look delicious but it is also good for you, so you can enjoy a more hearty breakfast without feeling guilty about it. 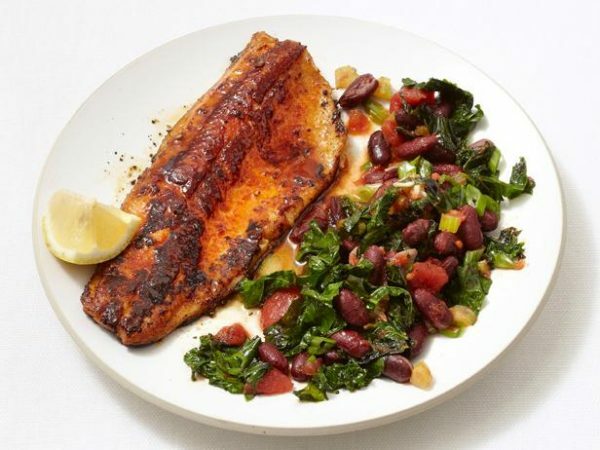 The combination of spices in this Blackened Trout with Spicy Kale recipe sounds delicious but not overwhelming. You can always adjust the spice levels for anyone who doesn't deal with spicy food well, but I reckon there are enough other ingredients in there to mellow out the heat. The kale side dish that comes along with this trout looks yummy, and I might even be trying it out with different fish and meats. The addition of the brown sugar into this dish will add a bit of sweetness to contrast the spicy. Trout is incredibly quick and easy to pan-fry, making it perfect for a weeknight meal with some potatoes or vegetables. This dish looks incredibly light so it could even be enjoyed as a lunch. 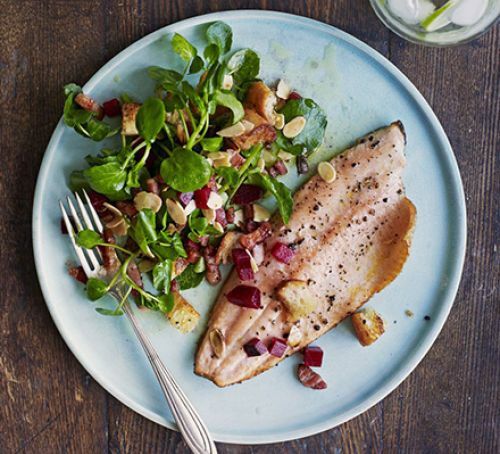 The combination of ingredients in this Pan-Fried Trout with Bacon, Almonds, and Beetroot is highly unusual. The bacon will give the dish a salty, meaty element, the almonds their distinctive nutty flavor and the beetroot a certain sharpness. 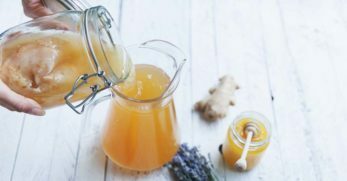 It would be just as simple to make several portions of this as it would be to make a single one, so keep it in mind if you're soon to be entertaining. 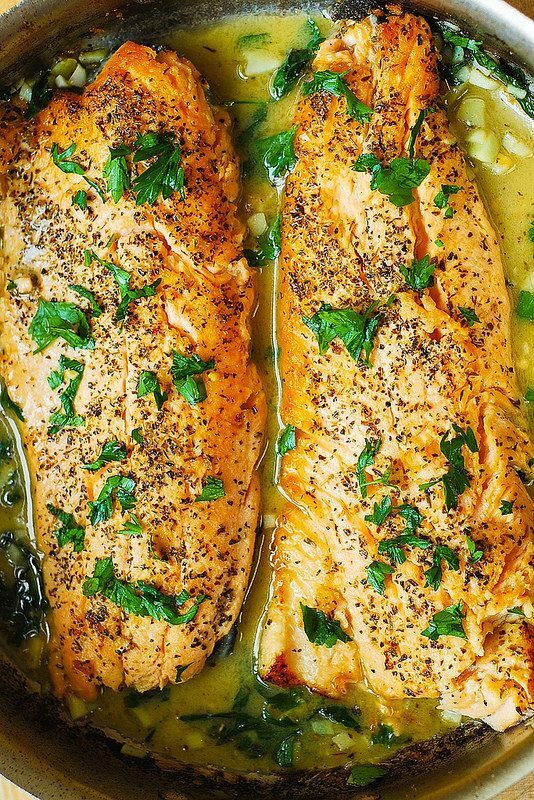 The flavors are kept simple but effective in this Trout with Garlic Lemon Butter Herb Sauce. 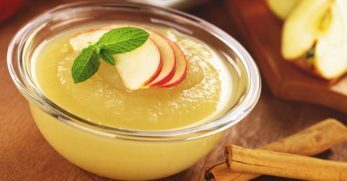 That means that you can have some fun with your side dishes if you would like, I would take this as an opportunity to try something other than my usual boiled potatoes. I am fond of the fact that this recipe uses the pan the fish has been cooked in to create a sauce, as I always find that this gives the best and most robust flavor. Because the flavors are familiar and not too complex, this would be a great dish to feed to kids. My mom's side of the family live in a seaside town, and my uncle owns a fishing boat which we often go off on when we visit. There is something incredibly rewarding about catching your dinner. Going out for a sunset boat ride and frying our fish as soon as we get home, is one of my favorite things in the world. 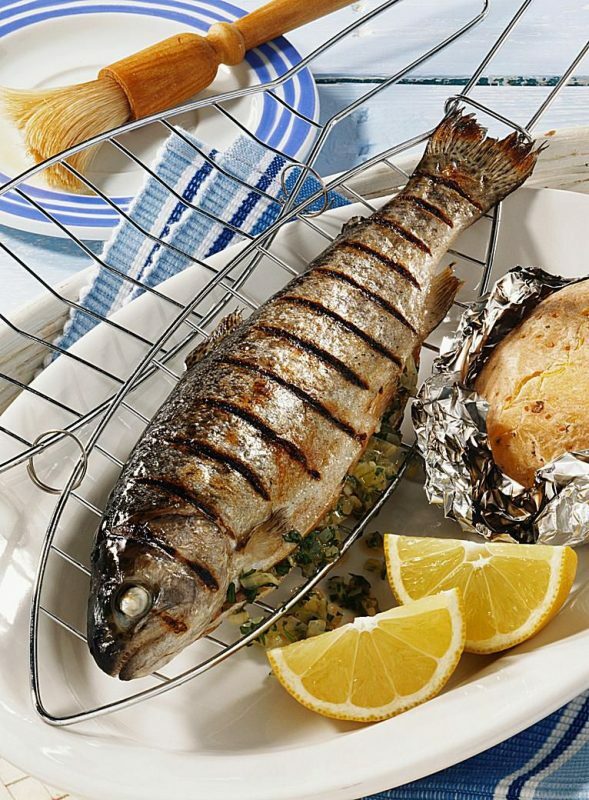 This recipe for German Pan-Friend Trout looks exceptionally similar to the way my aunt prepares our fish, and trust me it is delicious. 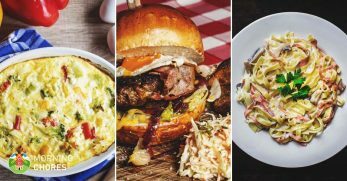 We always keep it simple when it comes to side dishes, all you need are some new potatoes or hand cut fries and a big dollop of your favorite condiment. I am getting Mediterranean vibes from this Trout with Olives and Brown Butter, meaning it will probably become one of my go-to meals this summer. 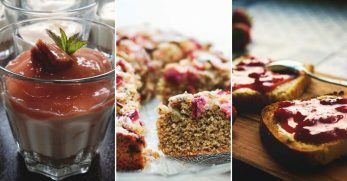 I love it when food transports you somewhere else, especially when that somewhere else is warm and away from the responsibilities of daily life. Browning butter helps it to give a delicious nutty flavor to a dish, and that along with the sweet but slightly sour taste of the lemon sounds like a match made in trout heaven. Add a whole load of olives into the mix, and you've got what looks like a winner. I can't say I have ever considered having a salad for breakfast but I will often have avocado and occasionally trout on special occasions, so this isn't too far fetched. 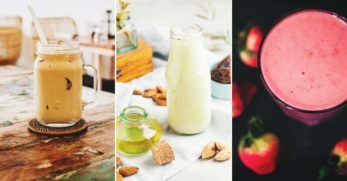 If you're looking for a healthy way to kick-start your day, then this couldn't be much more spot on. 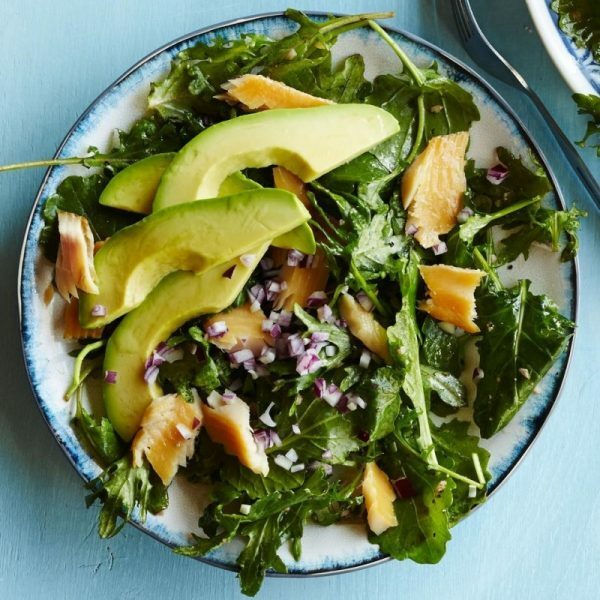 Although it is packed full of good proteins and iron, this Baby Kale Breakfast Salad with Smoked Trout and Avocado still looks light. A light breakfast is highly important to me as someone who doesn't enjoy a huge meal at the start of the day. Of course, this is incredibly simple to make and could also act as a great packed lunch to take to work. 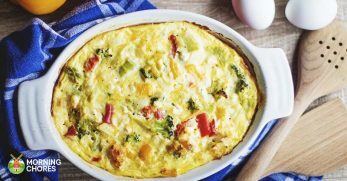 Frittatas are both delicious and easy to make, and a fun way to change it up from your regular omelet if you're looking to do so. This Smoked Trout and Pea Frittata requires minimal effort, and that layer of grilled parmesan on top will give it some extra sparkle. 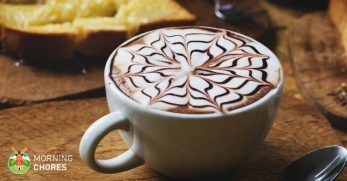 I reckon this would be a great breakfast option for a morning when you have a little more time to prepare something special. 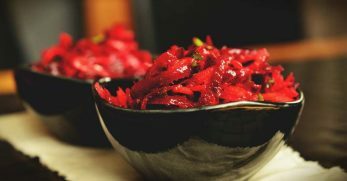 If you'd rather have it as a lunch or dinner dish, then be sure to try out that Parsley and Red Onion Salad that comes along with this recipe. 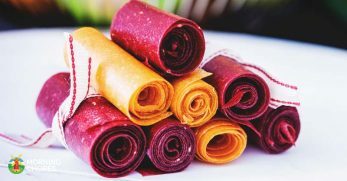 Everyone loves a taco, and this recipe will help you to achieve ones which are both healthy and likely to be wolfed down in a matter of minutes. I love that in these Rainbow Trout Tacos the fillet of fish has been left whole, meaning that every mouthful will be full of its goodness. You could, of course, experiment with your toppings and sauces but I will be trying out the ones that they've suggested. That sauce in particular sounds deliciously cooling, and just flavourful enough that it will pack a punch without overpowering the fish. The way this Spicy Chili Grilled Trout has been cooked makes it look so epically tender and moist like it just flakes apart, which is the perfect texture for a fish like this. This recipe is incredibly easy, all it requires you to do is mix up a few ingredients to make a marinade, coat the fillets in it then pop them in the oven and let it work its magic. I can already tell that I will love the combination of flavors in the marinade, with that sweet brown sugar along with the hot chili flakes and a hint of garlic. I used to think that risotto was a lot harder to make than it is and now I make it relatively often, so don't let yourself get stuck in the rut as I did. This Trout Risotto looks creamy and smooth, with nicely sized chunks of that delicious fish. There aren't hundreds of complex flavors going on in this dish which is something I am fond of. Instead, it focusses on a couple of main ingredients which will best compliment the fish, like mascarpone and a hint of citrusy lemon. I will be making this as a weeknight meal, and I always think risotto tastes delicious the next day so ‘hello leftovers'. Noodles are such a comfort food for me, making a huge bowl of noodles and settling down for the evening in front of a film is my idea of a perfect plan. 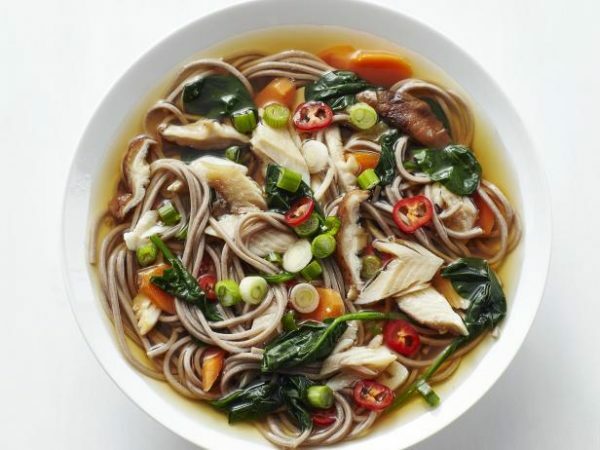 I love the fact that this Soba Noodle Bowl with Smoked Trout is a soupy noodle dish because it means that you can enjoy the noodles and then be left with a delicious soup, it's like two meals in one. This dish is Asian inspired with all the classic flavors like ginger, soy sauce, and chili. The trout have been left in big chunks which I like because the flavor will be able to hold its own amongst the others. I can imagine tucking into these Trout Skewers with a Citrus Marinade at a summer BBQ, along with fresh salad, coleslaw, and new potatoes. The citrus marinade will make the flavor incredibly fresh and vibrant, with a hint of sweetness but not too much. 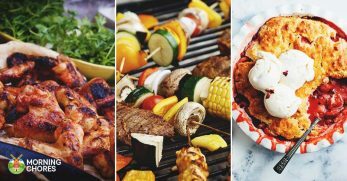 These could even make an easy weeknight meal, and I find that kids seem to love anything on a skewer. I love that the fish is in huge chunks, maintaining that soft flakey inside with a crisp, flavorful outside from being grilled. 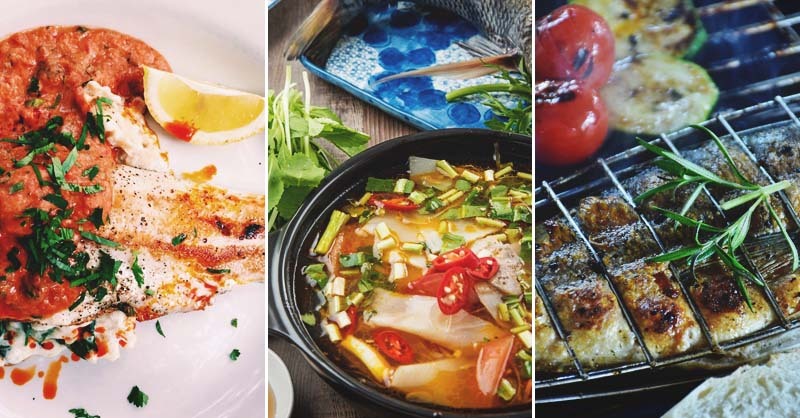 I am determined to incorporate more fish into my diet, not only because it's very good for me health-wise, but also because I genuinely love it. 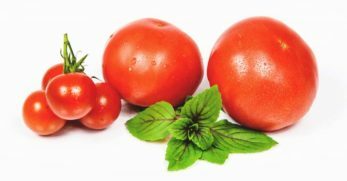 There are multiple ways in which I could incorporate it into dishes I already make or ways that I could substitute my usual choice of meat for fish. 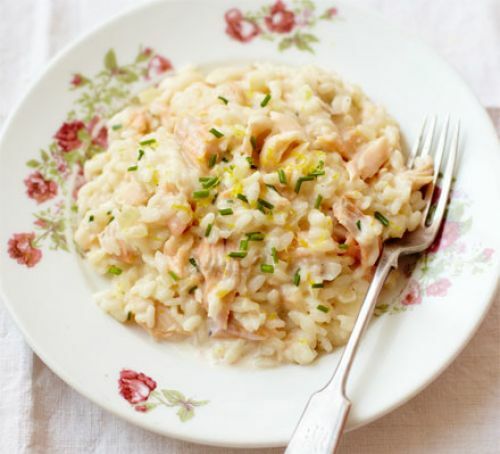 The Trout Risotto looks delicious, something wholesome, warming and easy to make for a family or group of people. 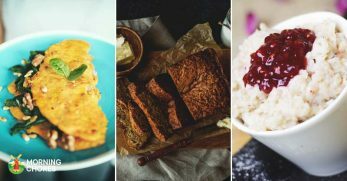 My love of potatoes, in general, has also made me desperate to try those Horseradish, Smoked Trout and Mascarpone Baked Potatoes, as I feel like they are a sophisticated take on a straightforward dish. 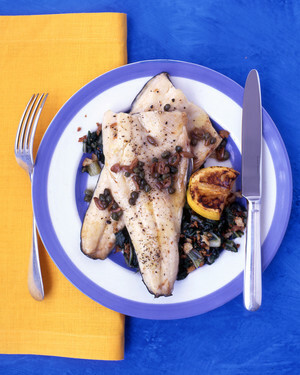 Is fish something you regularly consume in your diet? 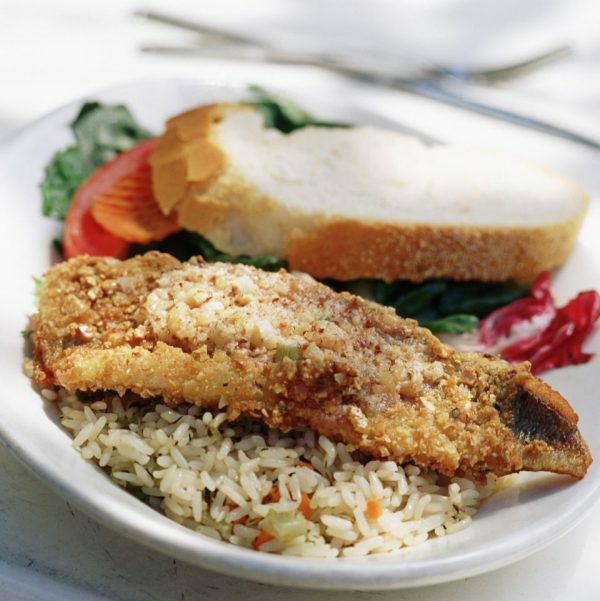 Which of these trout recipes can you see yourself making this week?